Don’t worry about dinner, just pop down to the amenity center for some great food and casual fun. WHAT’S THE CATCH? – Using locally sourced Fish and ingredients, this seafood is on a whole new level of delicious! PIE 95 - Bringing wood-fired Artisan style pizza to SJF, with big flavor fired up in tradition. NOW & FOREVER – Making deliciously Fine Desserts mobile! Please be patient with the limited parking facilities available. Please feel free to either take your order home or eat poolside at SJF, although eating or drinking while inside the pool water is prohibited. 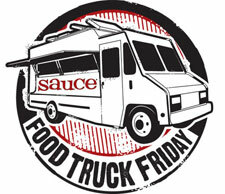 Don’t Miss Food Truck Friday!